Blue Daisy Designs: Busy Day! Hey! it's been an incredibly busy day today! World Pipe Band Championships in Glasgow! A very early start and a brilliant day for the junior and senior family members! And a little celeb TV time too! How very exciting! Labels: Bugaboo, Copics, Stampin' Up! such a wonderful halloween card! Thanks for playing along in the Artistic Inspirations Challenge. 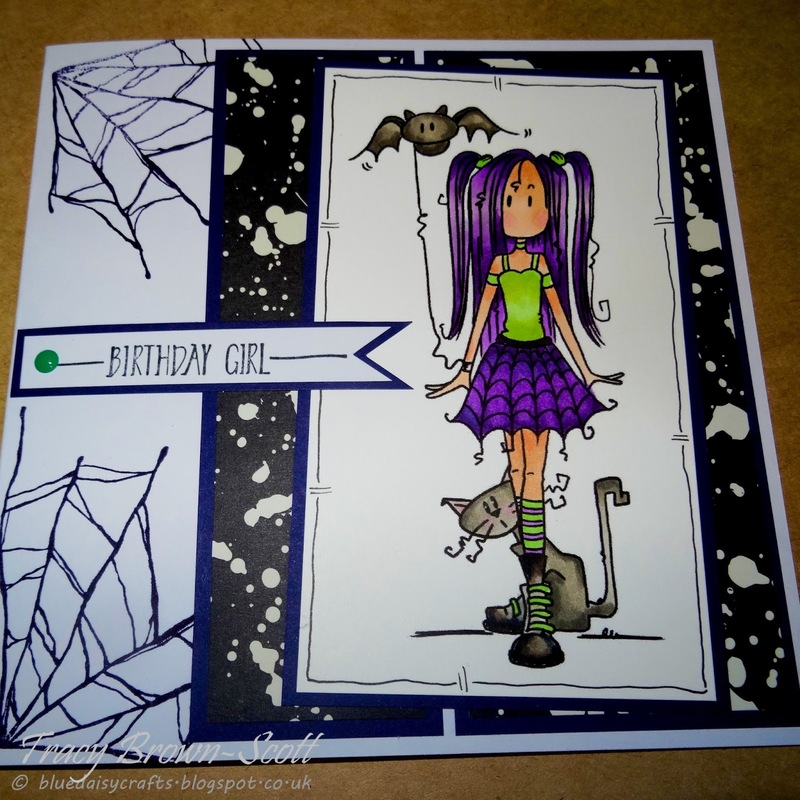 What a great card for a Halloween birthday. Thanks so much for sharing it with us at Scrappers Delights. A really fun design and great choice of colors!